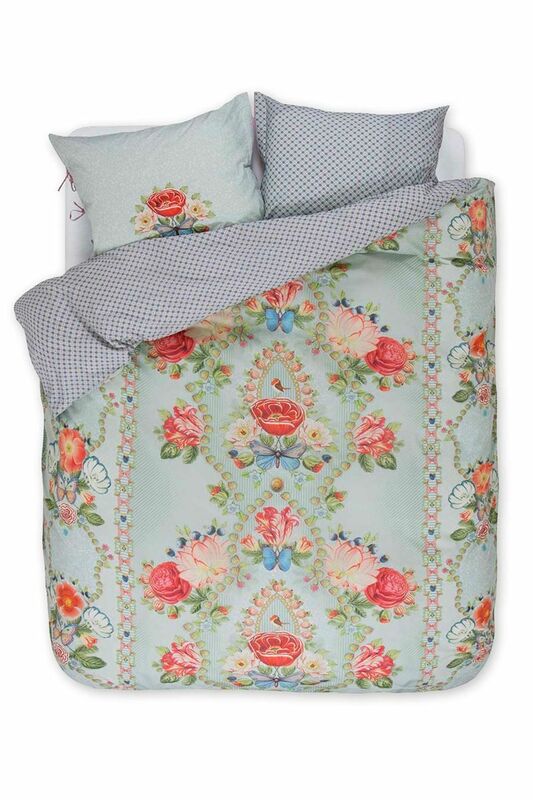 This beautiful duvet cover is part of our special edition Pip 10 Years collection. 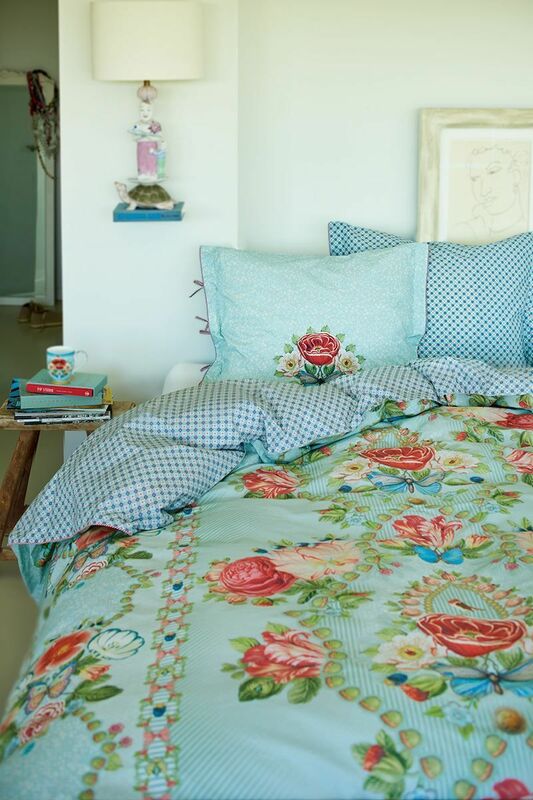 Waking up is a dream underneath this exclusive print of roses in bloom in a symmetrical ornamental design. On the reverse side, it has a subtle repeat design. 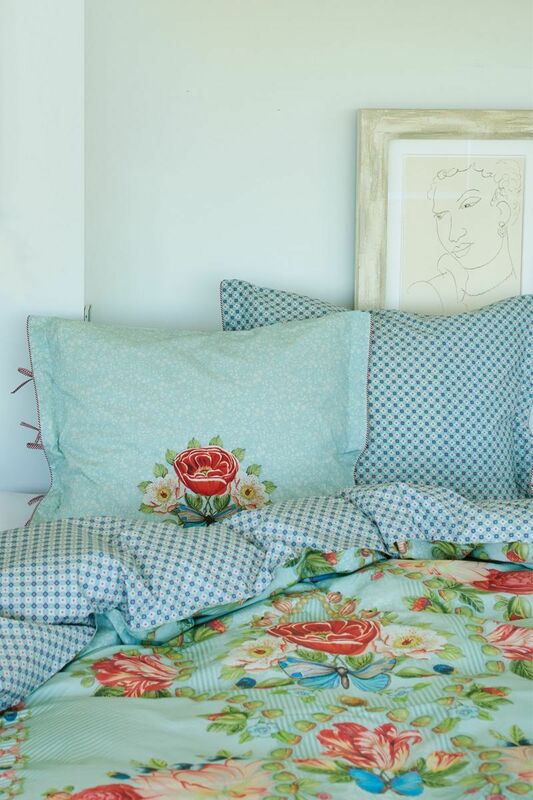 Pip Studio's signature comes to life in the red-white striped pipings. 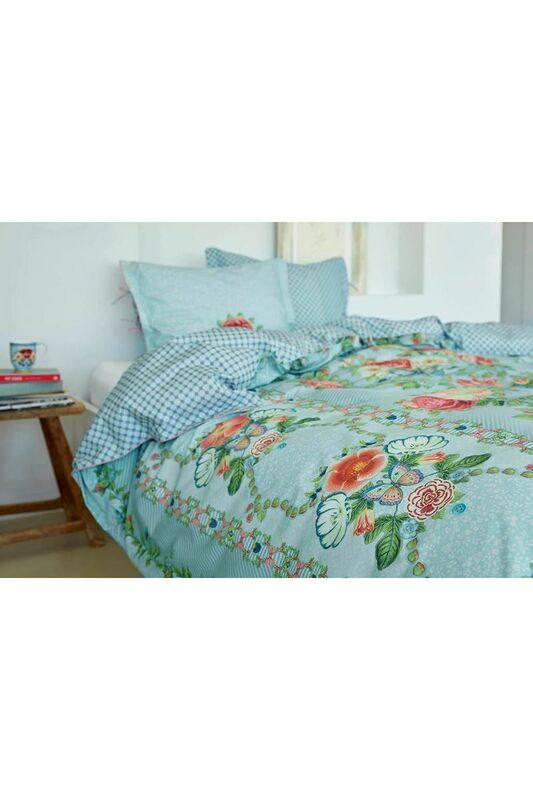 The cover is made of perkal cotton, making it soft and supple and easy to maintain. Suitable for every season.